Fundraiser for Rachel Riser by Duncan House : Help Clifford and Rachel Rebuild! Help Clifford and Rachel Rebuild! In the late night of October 8th Clifford and Rachel were awoken by an emergency warning system call giving them 15 minutes to evacuate their home. The Atlas Peak fire was moving quickly through northeast Napa, fanned by 60 mile an hour winds, rushing toward their home and studios. Shaking off the grogginess of a deep sleep they began the frantic task of choosing what to grab with the few minutes they had as they watched the fire working its way up the hill toward their house. Thankfully they made it out in time down the one lane winding road with their cat and a few arm loads of things that they could easily grab. 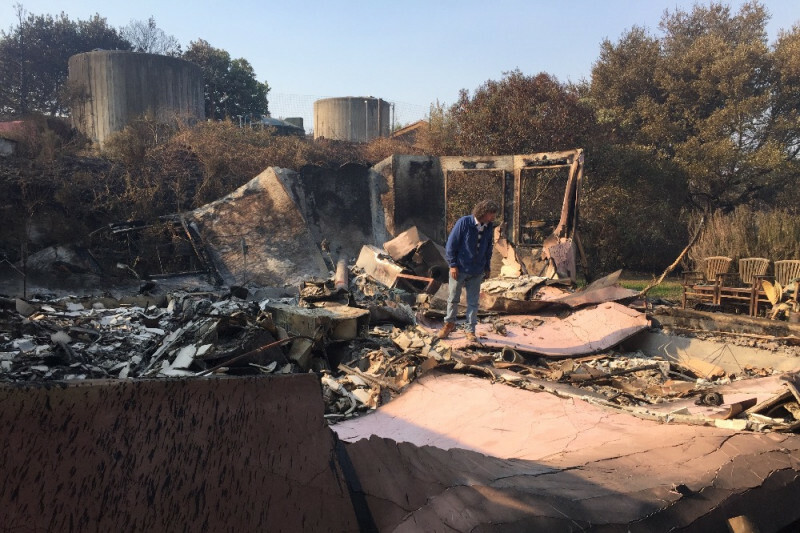 The Napa, Sonoma, and Santa Rosa fires devastated many lives. 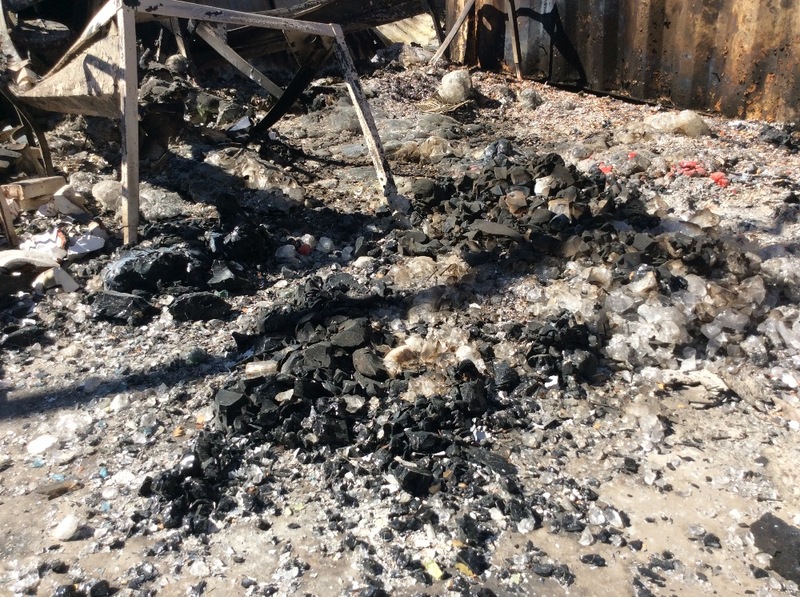 A week after the fire passed through their neighborhood Clifford and Rachel were allowed access to their property. Everything was gone. Their house and everything in it reduced to rubble and ash. 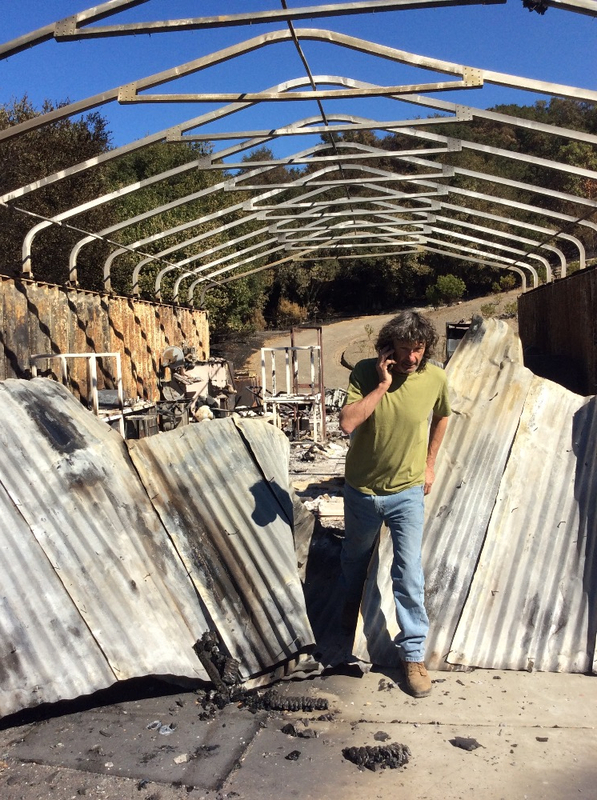 Both of their studios completely burned to the ground. All of their possessions gone. Books, furniture, papers, artworks, equipment, family heirlooms, tools, materials, clothes, bedding, everything, gone in one night. Everything for Rachel's floral business. 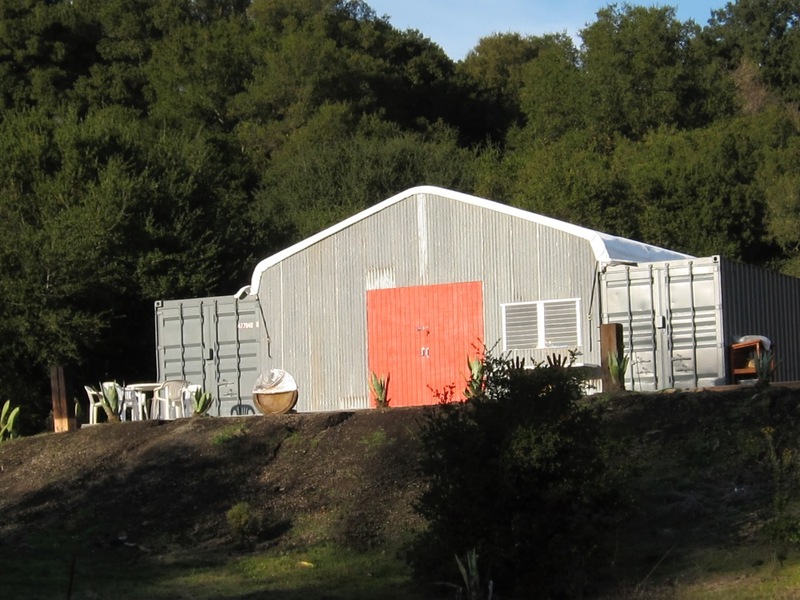 Clifford's studio, all of his equipment, his sculptures, prints, paintings and drawings gone. Four decades of work obliterated. I cannot fathom the loss they both must feel. Many people have expressed their desire to help Clifford Rainey and Rachel Riser recover from this tremendous loss. This is your opportunity to help them rebuild what they have lost. Every amount will help. They need to rebuild their home and studios. They need to replace all of their lost belongings. They need a place to live while they rebuild. Equipment and materials need to be replaced so that they can get back to doing the work that they love. The studios and their contents were not insured, so they are starting from scratch with your help. Every donation will go directly into helping Clifford and Rachel restore their lives. Please do what you can to help. Please share to spread the word. This campaign was started and managed by Duncan House from Benicia, CA. I am a friend and colleague of Clifford and Rachels. 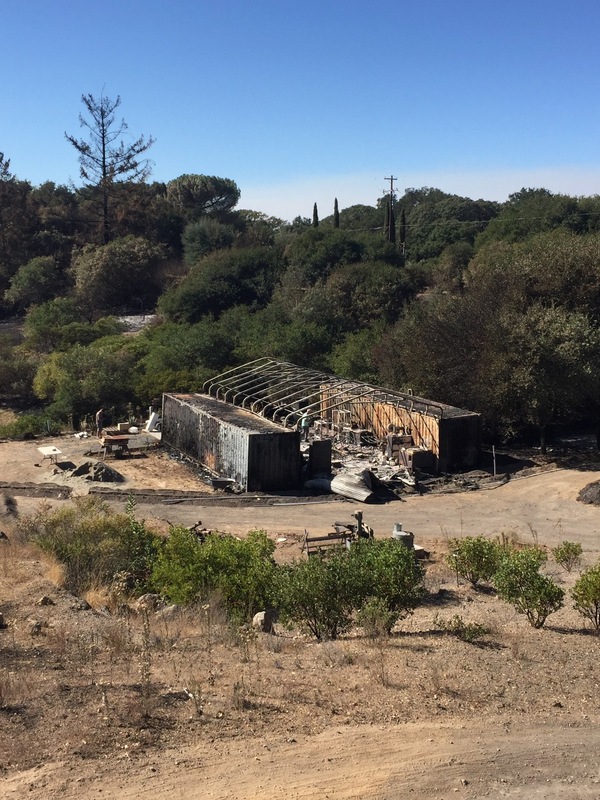 The funds raised in this campaign will be directly available to Clifford and Rachel for them to build their home and studios and replace their equipment ,materials and belongings lost in the Napa fire as well as offset temporary housing costs while their home is built.